I couldn’t be happier with my STOK drum grill. I mean, I’d love some “swag”/goods from STOK, the company itself, from all the free endorsement I’ve been giving them on here and on Instagram (@smutravageur is my handle), but who wouldn’t? 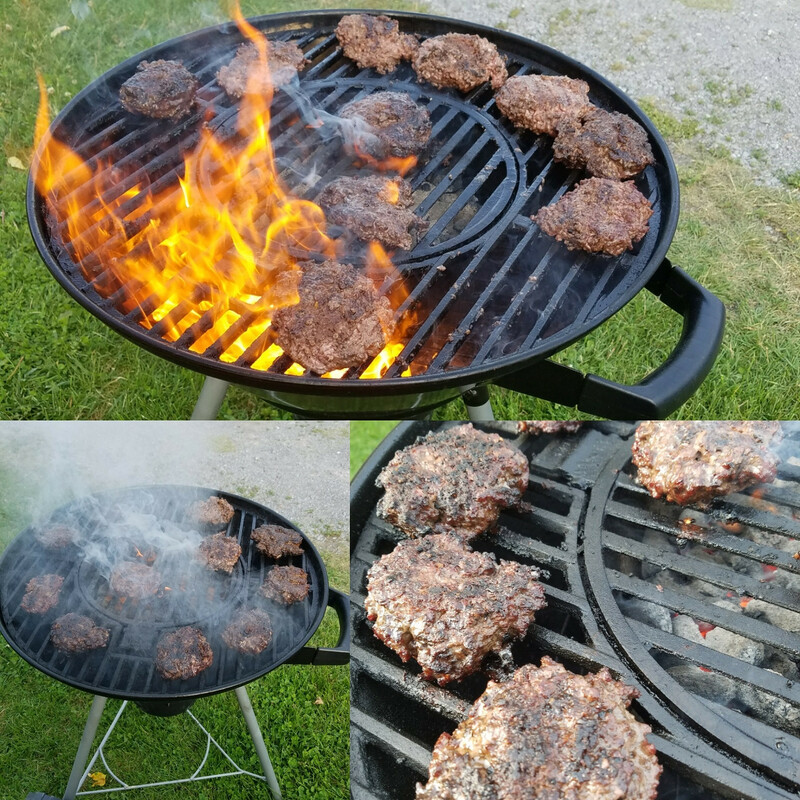 I grilled these burgers last Sunday (6/4). They came out pretty damn good; no complaints from anyone, at least. I posted that to Reddit, and I made a mistake by mentioning STOK’s name, and a few idiots considered it a “hail corporate!” kind of thing. I wish! Once again, I’d love to be endorsed by STOK. I give them plenty of free advertising both on here and on Instagram. The internet is cynical as hell; Reddit can be a bottom-dweller’s haven at times, with a lot of morons showing their asses through anonymity. It’s 73/27 ground beef. A 5+ lb. batch goes for about $10 at the grocery store. Whenever I grill them, I like to form the patties and put them in the freezer for a while to let them solidify, as it makes them much easier to cook. However, my family was so damn hungry I had to be a little quick. The problem with not doing the freezer method with these is that they fall apart. It’s difficult to sear them, because they are so fatty the fat drips onto the coals and induces plenty of flare ups. It wasn’t a huge problem last night. It at least made for some nice pictures. The burgers came out delicious and juicy, with a nice crust. I give credit to this STOK grill because I love the cast iron grates. As I’ve said before, I’m a cast iron freak. Nothing holds heat better. 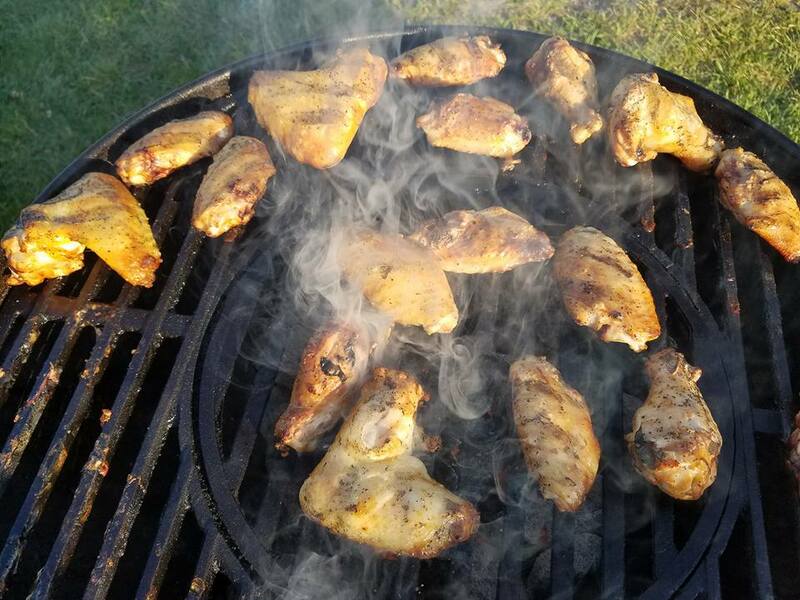 I also love this grill, because with the basket you can use it as a direct/indirect grill, and what I plan on using with a “vortex” method pretty soon. 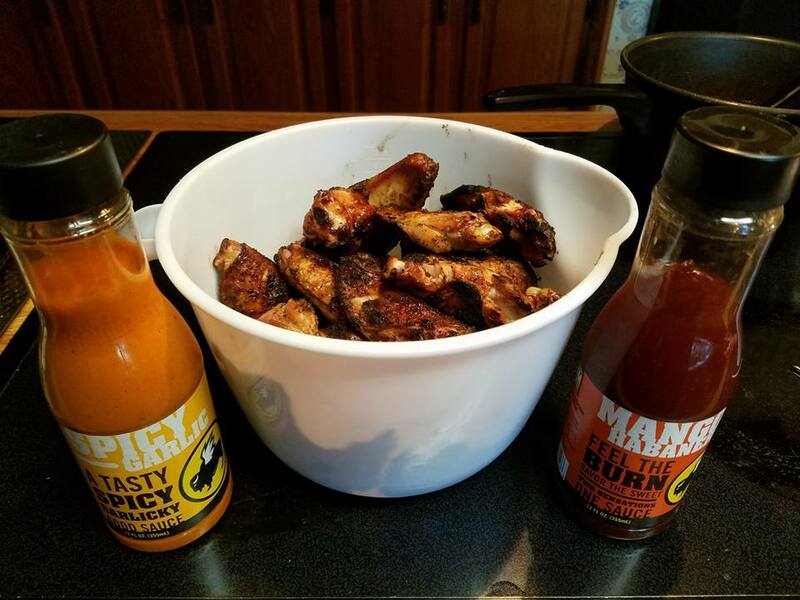 I’m going to get some wings and start them off on indirect heat on the grill for 7-10 minutes per side with the lid closed before crisping them up, very carefully, on direct heat. Should be some damn good eatin’! The little lady loves crispy wings (hell… so do I), so this should be worth a shot on the ol’ STOK! Unrelated, but I graduated from high school on this day eight years ago. June 12, 2009. It’s hard to believe it’s been that long. That summer was arguably the best summer of my life so far. I miss that time period so badly. 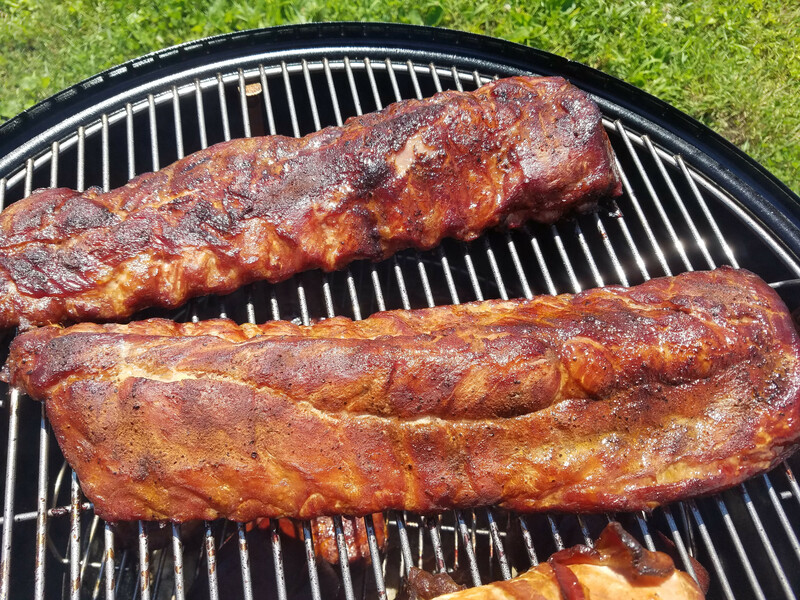 Baby Back Ribs (And More) On My Brand New Weber Smokey Mountain Cooker! 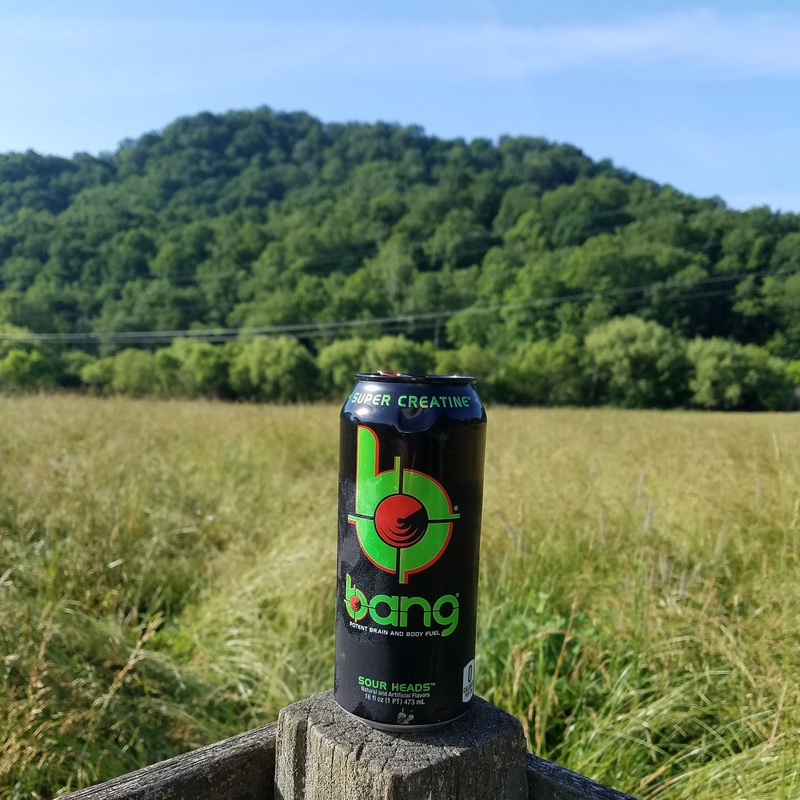 I was born in eastern Tennessee and raised in southwest Virginia. I’m a mountain boy! So it is fitting that I am now cooking with a smoker called the “Weber Smokey Mountain”. 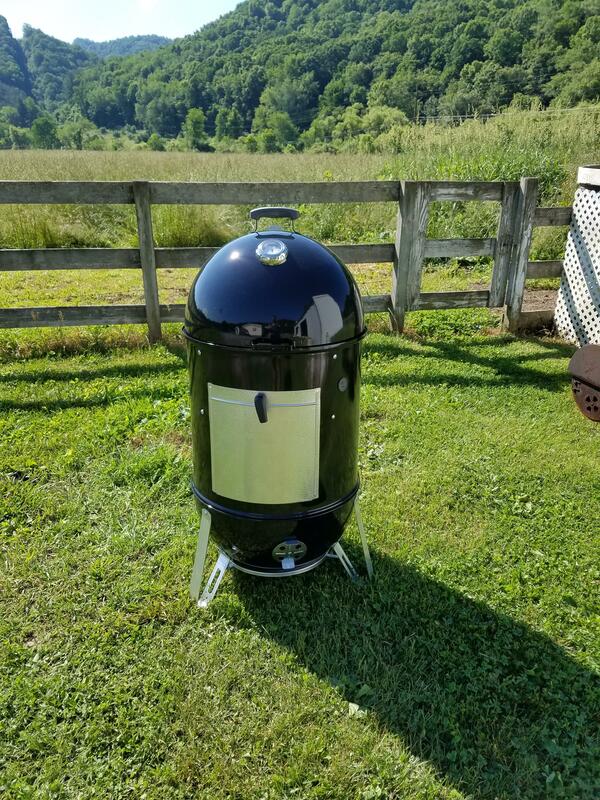 This is a huge upgrade over my previous smoker, where I had to constantly babysit the temperatures all day. I’m also now going to be a Weber fan for life, because their customer service is out of this world fantastic. The lid is kinda “out of round” where I have to force it down onto the top of the smoker, and Weber is supposed to send me a new one, free of charge. Can’t beat that kind of customer service. 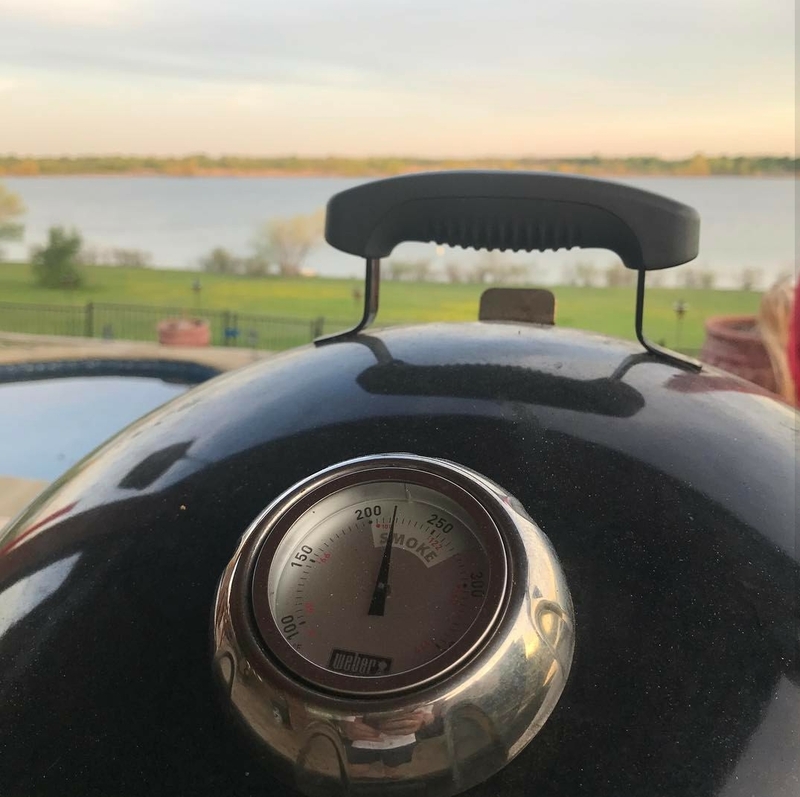 I watched game one of the Warriors/Cavs NBA Finals last Thursday night, went to bed past 12 and woke up at 4:30 Friday morning because I was so damn excited to smoke some meats on this thing. Whenever I smoke, I like to stuff the smoker full of food. 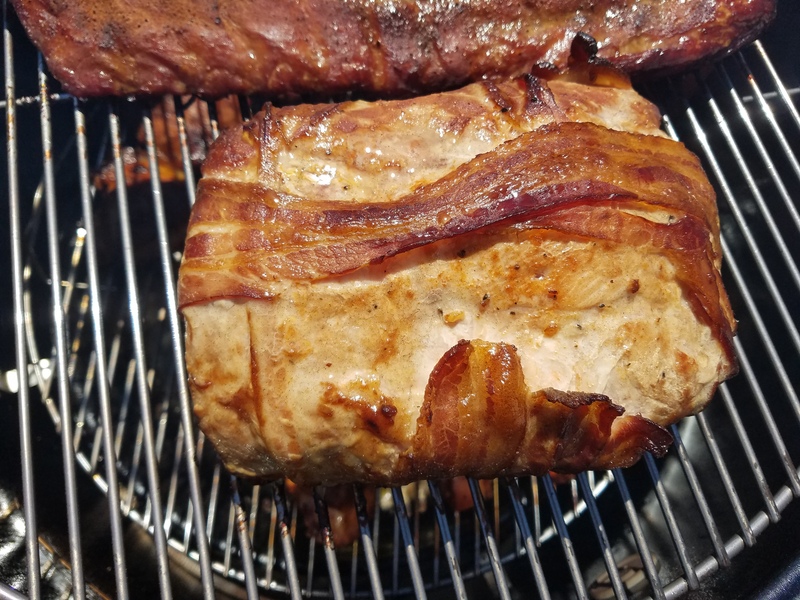 I smoked a bacon-wrapped pork loin, two racks of baby back ribs, a family pack of chicken thighs, some chicken drums and bologna. I didn’t take pictures of the thighs, drums or bologna, but I’ll try to (particularly with the awesome smoked bologna) next time. But I was most excited about the ribs. I didn’t foil them. 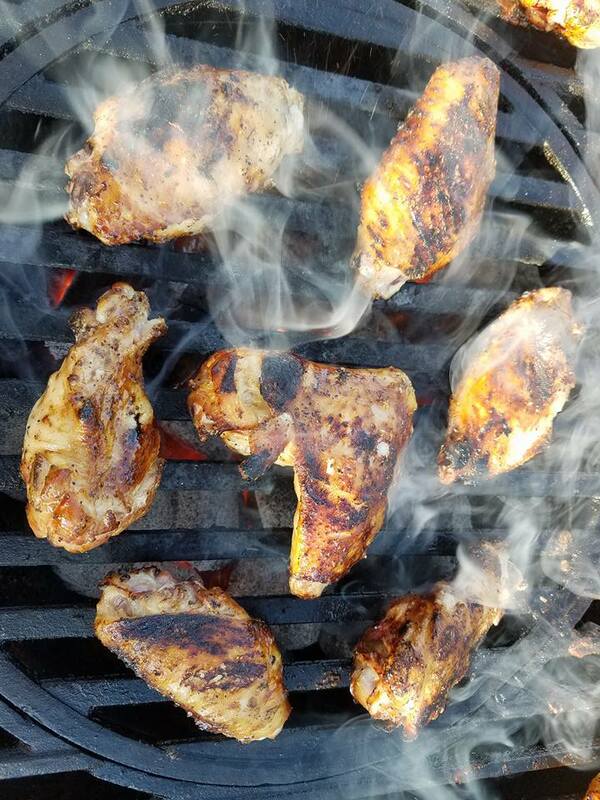 Just used a dry rub (Uncle Yammy’s Memphis style chicken & rib seasoning). I spritzed them with a cranberry-apple juice I had (didn’t have any apple juice) a few times during the cook. The small rack came off about four hours in. The larger rack took about six hours! 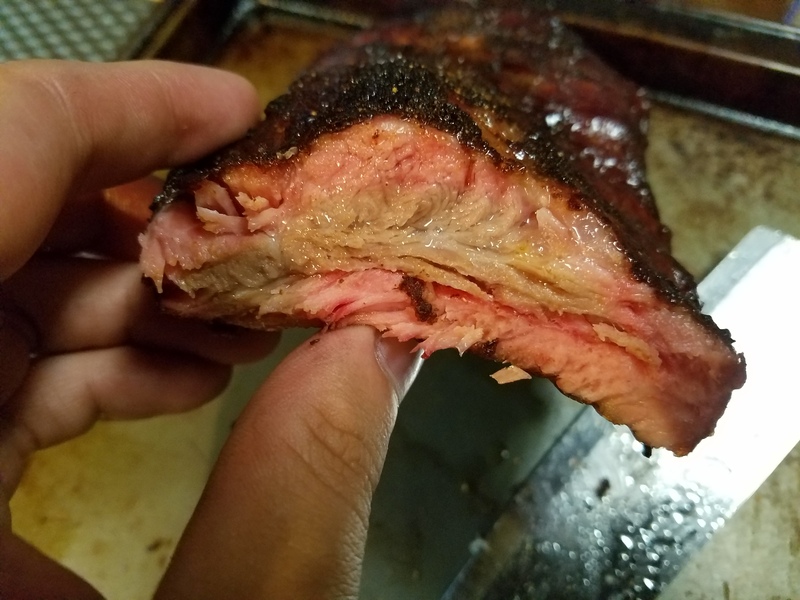 I didn’t want them fall-off-the-bone tender; I like a little bit of a bite and pull to my ribs, and they came out pretty great! I used apple wood from my apple tree I pruned back in late February along with two little chunks of hickory. Yeah… I used the factory Weber temperature thermometer. Everybody says it’s crappy and that it’s “between 30-50 degrees off”, but it will have to do for now. Everything came out great. Dana loved it at first bite (the ribs). A couple of people on the fans of WSM Facebook page kept advising me not to do a pork loin first since it was supposed to run hot in the beginning, but I wanted to play around with it, with a shorter cook before doing a pork shoulder. It came out perfect; juicy as all get out. I was going to pull it at 145-150 but according to my thermometer it got to 159, which is when I pulled it. 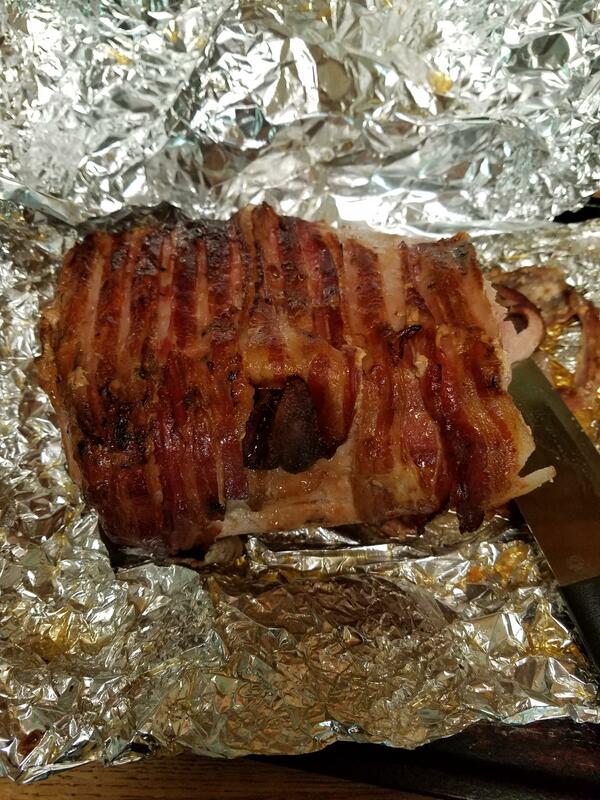 I coated it with a thin layer of mayo and seasoning before I wrapped the bacon to, I guess, “protect it” and give it an extra layer of fat and flavor. I still haven’t even installed the side handles, because I was too excited to get my first cook underway! Baby back ribs! The one on top was near its completion. The bigger one took about two more hours to smoke! Bacon wrapped pork loin. I used McCormick Molasses Bacon seasoning on it before wrapping it up in bacon. I also coated it with mayo before doing any of that to add a shield of protection from the fat since it’s a lean meat. The finished bacon wrapped pork loin! 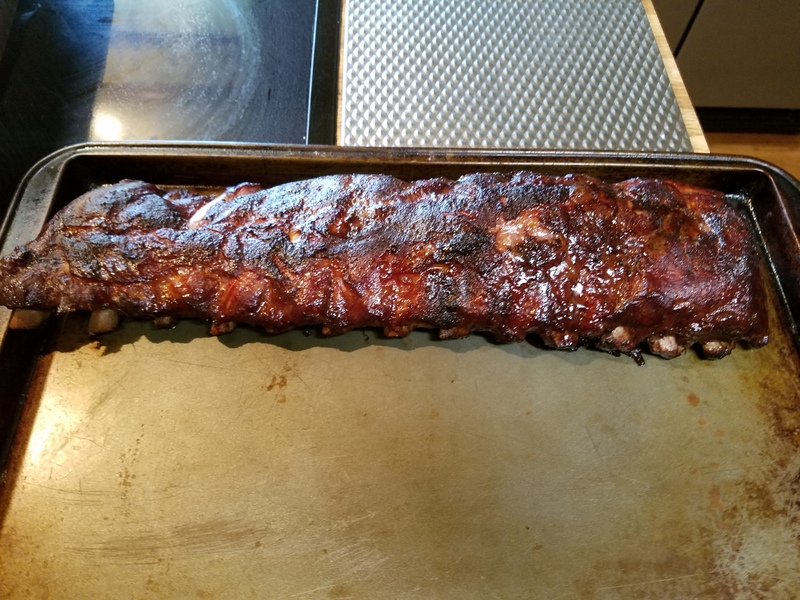 One rack of baby back ribs out! Check out that smoke ring! Call me a braggart, but I nailed it!